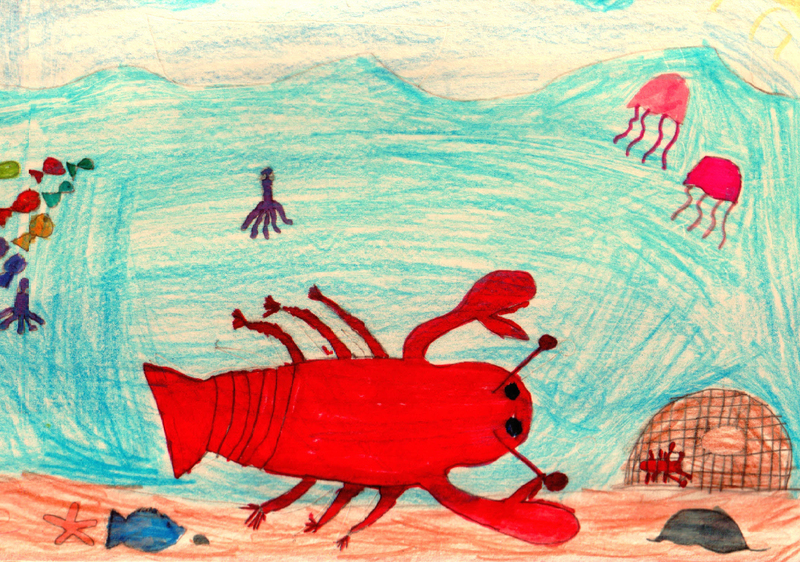 I really enjoyed the scene you’ve drawn after you returned the giant lobster to the water. The colourful school of fish, the purple squid, the jellyfish and the old-fashioned lobster trap sitting on the sandy bottom are very nice details. The little lobster in the trap is interesting, too, because it shows just how giant the giant lobster is. Well done!